Paul Ryan says he wants to enact criminal-justice reform ASAP. But will he move on it if Hillary Clinton is elected president? It’s come to be a tired, sad refrain: Congressional Republican leaders say they are committed to the enactment of criminal-justice-reform legislation, but — but — the timing’s not right, the planets are not aligned, other stuff is happening, and somehow America’s least-productive Congress ever cannot make it happen. So you have to take Politico’s latest report that Paul Ryan wants to get criminal-justice reform done ASAP with the usual shaker of salt. But the odds are decidedly long. With Trump advocating for controversial policies like systematic “stop and frisk,” and the protests in Charlotte, North Carolina, against police-involved shootings causing racial tensions to flare, Ryan’s conference is not eager to vote on the matter. An internal GOP leadership “survey” last week taking House Republicans’ temperature on the issue showed that most members were lukewarm at best. Ryan has already thrown in the towel for criminal-justice reform in the current preelection session. But now he’s talking about maybe making a push during a postelection lame-duck session. If Trump is elected president, you can probably forget about that. 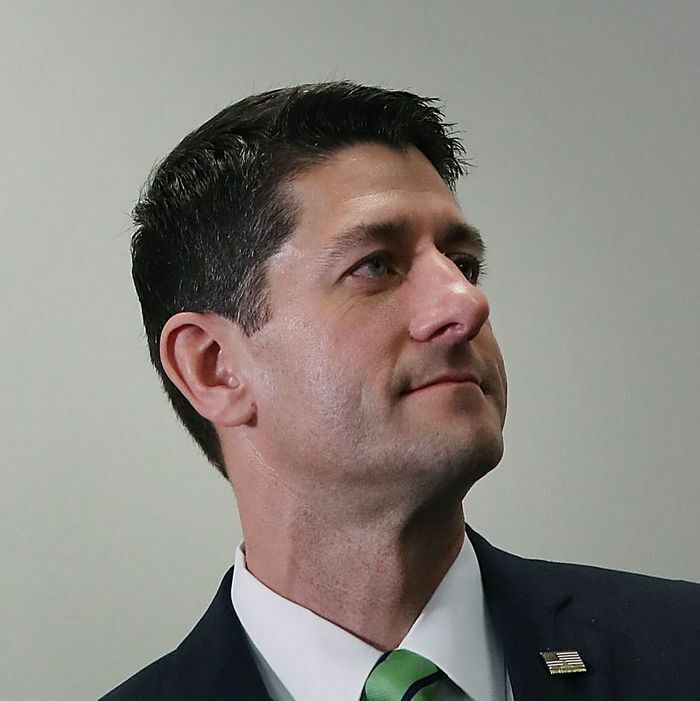 Aside from the unwillingness of Ryan to pick a fight with his party’s new president before he even takes office, you have to figure the Speaker would be far too busy trying to put together a budget-reconciliation bill encompassing all of the budget and tax ideas he’s been circulating since 2010. Assuming Republicans hold on to the Senate (pretty likely if Trump wins), it could finally be that great gettin’-up morning where Republicans can reduce top-end taxes again and move trillions of dollars out of those safety-net programs that have enslaved poor people and into the Pentagon’s eager hands. So action on criminal-justice reform in a lame-duck sessions is something that’s only going to happen if Hillary Clinton wins. It would, in fact, supply an excellent first test of whether bipartisanship has any future in another Democratic administration. Conservative opinion-leaders, including many conservative Christians and the quasi-libertarian Koch brothers, have invested many years in working with progressives on a breakthrough in this area. There are still some substantive differences of opinion, mainly involving the determination of conservatives to make it harder to convict white-collar criminals who have violated environmental, labor, or consumer regulations. But at a time when there is widespread acknowledgement of excessive incarceration and interest in racial reconciliation, it should be doable with aggressive congressional leadership. But the prospects of enacting criminal-justice-reform legislation would drop to zero if Republicans decide total opposition to Hillary Clinton — even on initiatives they ostensibly support — is going to be the rallying point for party unity as the GOP figures out its post-Trump future. I know Hillary Clinton has other fish to fry right now, but it might be a good idea if she publicly promised to work with Republican congressional leaders even before her inauguration to enact legislation in this area. If it cannot happen on criminal-justice reform, we might as well all get used to the fact that it probably won’t happen on anything else, either.